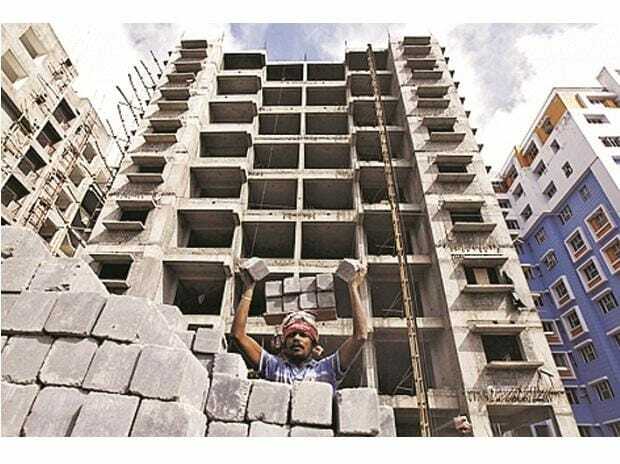 The cut in goods and services tax (GST) rates for under-construction properties from 12 per cent to 5 per cent and on affordable housing segment from 8 per cent to one per cent though will aid sales, experts suggest the lack of input tax credit (ITC) availability to the developers is likely to impact their margins going ahead. Post the GST implementation, developers have been claiming ITC on payments to vendors while collecting the 12 per cent GST from customers in under-construction projects. No ITC will impact projects with high input credit (low land cost) resulting in lower margins if current prices are maintained, experts say. “Excluding projects in Mumbai and prime areas of Delhi and Gurugram where land cost is at least 50 per cent of overall project cost, developers in South Indian cities and Pune stand to lose 3-4 per cent of ITC under the new GST rate regime. They will have to bear the incremental costs on units already sold and registered and may try to raise prices for new customers to recoup these losses," says Adhidev Chattopadhyay, an analyst tracking the sector at ICICI Securities. That said, some experts believe that it will be an uphill task for the developers to hike prices as the demand has not been too forthcoming. “In current scenario of muted demand, we believe developers have limited headroom to take a price hike post GST rate revision. As a result margins will decline by 160 basis points (bps) in our base case. Developers in Bengaluru, Chennai, Hyderabad, Noida (lower cost of land) are likely to face margin pressure, while developers in Mumbai and Gurgaon / Delhi will benefit marginally,” says Abhishek Anand, an analyst at JM Financial. Realty stocks traded mixed at the bourses with the Nifty Realty index gaining a modest 0.2 per cent in intra-day trade, as compared to the Nifty 50 index that moved up 0.1 per cent to 10,809 levels. Among stocks, Unitech, Sunteck Realty, Brigade Enterprises and Godrej Properties rallied 1.7 per cent to 4 per cent in intra-day trade. On the other hand, DLF, Prestige Estates and Oberoi Realty slipped 0.5 per cent to 0.9 per cent on the NSE. According to reports, nearly 88 per cent of inventory is under construction in Mumbai Metropolitan region (MMR) region and 83 per cent in Bangalore and 87 per cent in the National Capital Region (NCR). Amongst the listed developers, Prestige estates has highest value of under-construction projects while DLF has lowest inventory under construction, reports indicate. Due to higher GST rate of 12 per cent on under construction projects, the demand here was subdued. With lower GST rate now, analysts now expect fence-sitters to show interest in buying under construction property and spur demand. As regards margins, Gautam Duggad, head of research at Motilal Oswal Securities, too, feels that the developers' margins may take a hit due to non-availability of ITC as the cost will increase. “It will be difficult for developers to pass on the increased cost, which shall be absorbed into the margins. We expect negative impact of nearly 3 per cent to 5 per cent fall in margins. For a Mumbai-based player where land component is high, especially for a player like Oberoi Realty, the impact is likely to be 3 per cent reduction in margin. For a south-based player (Prestige, Sobha and Brigade) the impact will be higher to the extent of around 5 per cent dip in margins as the land cost is low,” Duggad says. Among the lot, Chattopadhyay maintains a ‘buy’ rating on DLF, Oberoi Realty, Prestige Estates, Phoenix Mills, Brigade Enterprises, Sunteck Realty and a ‘hold’ rating on Godrej Properties. He has an ‘add’ rating on Sobha Ltd.